The Saskatchewan Urban Native Teacher Education (SUNTEP) program is a four-year program designed for Métis and non-status Aboriginal students who want to teach at either the elementary/middle years or secondary level. 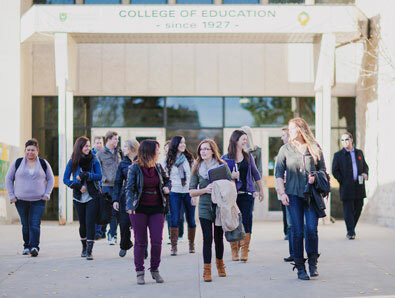 Offered by the Gabriel Dumont Institute (GDI) in partnership with the College of Education at the University of Saskatchewan, students enrol at the Prince Albert or Saskatoon locations. The program includes Indigenous studies and cross-cultural education. Field experience begins early in the program and continues through to graduation. Classroom experience includes but is not limited to urban centres, rural communities, northern schools, First Nations schools and the Catholic School Division. This is an introductory course on Michif/Metis Language, Learning and Epistemology. The purpose of the course is to develop basic competency in the Michif Language and to acquaint students with the interrelationship of Michif culture and traditions. Students will develop concepts, tools, and resources to integrate cultural learning with the Social Studies/Native Studies curriculum. This program is available to students in both Prince Albert and Saskatoon, making access to classes easier for potential students. Because the program is direct-entry, students have several opportunities for field experience in both traditional and holistic approaches, ensuring that Aboriginal culture is present throughout the training. * only offered at Saskatoon location. Applications for this program are available through Gabriel Dumont Institute.